We are very proud announce our new location in Orleans Ottawa. 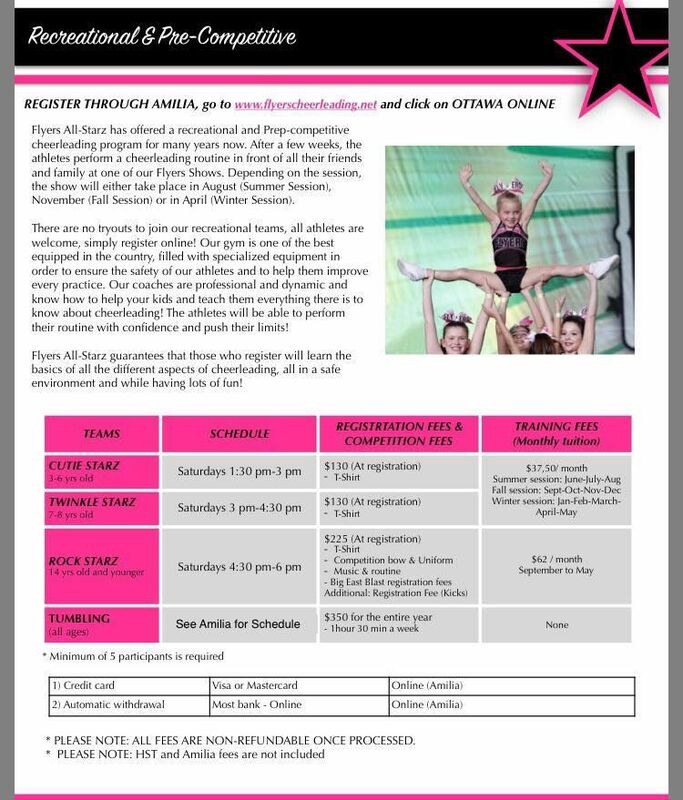 Flyers Cheer Gym Ottawa is located at 1671 Vimont Court Street in Orlean Ottawa and is easily accessible. It is, without a doubt, one of the best and safest places to train in competitive cheerleading where you are sure to improve your skills as an athlete! CLICK here to register to our Recreational & Pre-Competitive Cheerleading program! 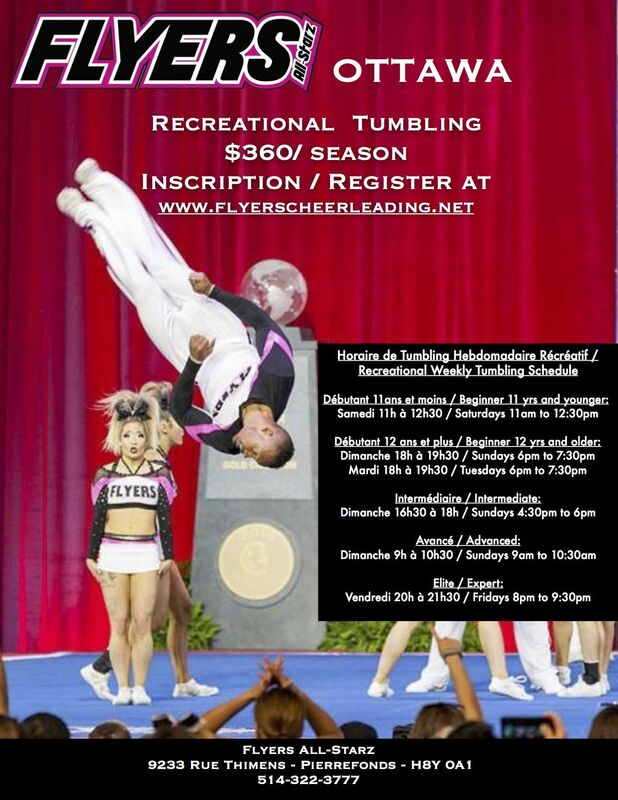 CLICK here to register to our Ottawa Recreational Tumbling Classes!